Pakistan says it will respond "at the time and place of its choosing" after India launched strikes against militants in Pakistani territory. 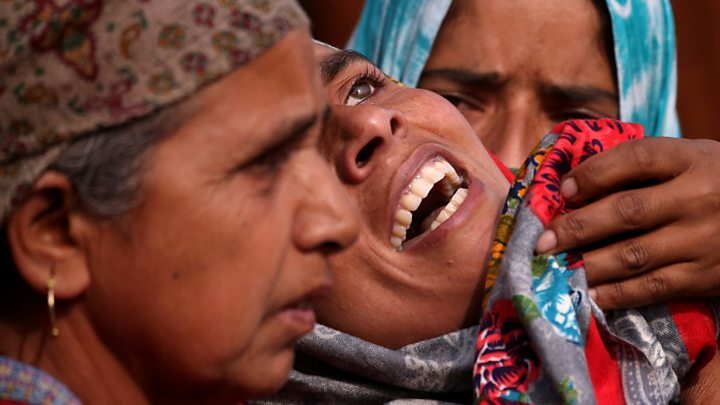 India said it had killed a large number of militants but Pakistan called the claim "reckless". Both India and Pakistan claim all of Muslim-majority Kashmir, but control only parts of it. The two have fought three wars and a limited conflict since independence from Britain in 1947 - and all but one were over Kashmir. The strikes are the first launched across the line of control - the de facto border that divides India-administered Kashmir from Pakistan-administered Kashmir - since a war between the two countries in 1971. 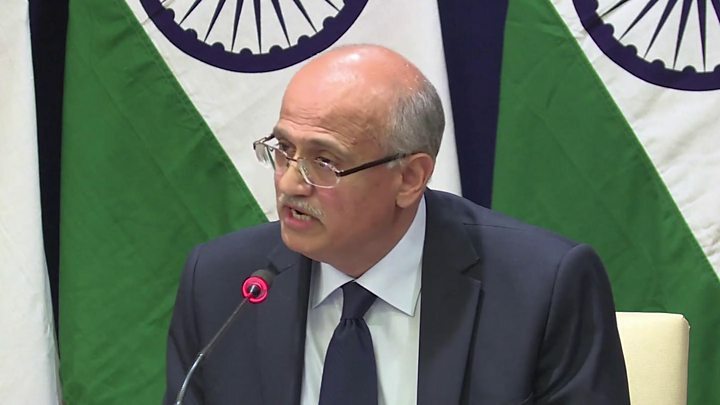 Indian Foreign Secretary Vijay Gokhale said a "large number" of militants were killed, defending the raids as a "pre-emptive strike" to stop further JeM attacks. The Pakistani army denied there were any casualties. It said its jets forced Indian planes to withdraw and drop their "payload" in an sparsely inhabited area. Pakistan's Foreign Minister Shah Mahmood Qureshi said India had "resorted to a self-serving, reckless and fictitious claim", pointing to elections due in India in May. A meeting of Pakistan's National Security Committee, which includes Prime Minister Imran Khan, ended with a warning Pakistan would "respond at the time and place of its choosing". Indian Prime Minister Narendra Modi did not directly mention the air strikes when he addressed a political rally in Rajasthan on Tuesday but he told crowds: "I understand your enthusiasm and your energy. Today is a day we bow before our heroes." Amid fears of escalation, the European Union urged "maximum restraint" from both sides, with China making a similar plea. In September 2016, an attack on an Indian army base in Uri created a similar situation when Delhi decided to respond with so-called "surgical strikes". 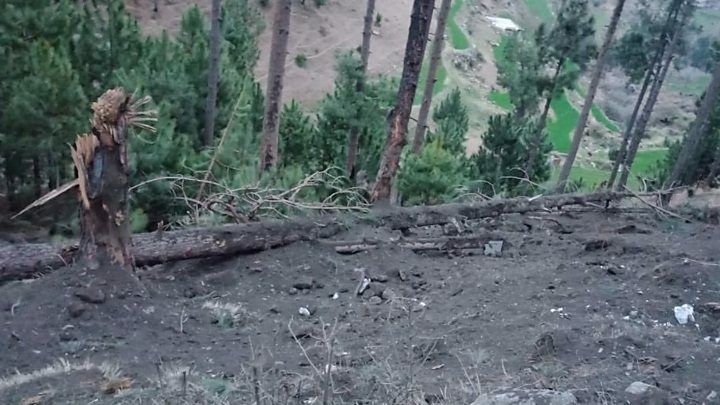 India's claims that they airdropped special forces to destroy militant camps on the Pakistani side of Kashmir were found to be largely exaggerated, but Indian troops did cross at several points along the Line of Control (LoC), inflicting some casualties on Pakistani forces. Pakistan's military has cordoned off the area and not even the local police are allowed in, so it will be some time before details of the attack become known. Also, Pakistani officials have been underplaying the severity of the incident by describing it as a strike "across the LoC", not one across the international border. Pakistan has vowed to respond but this may not go beyond diplomatic measures. However, as some observers point out, there may be punitive attacks by militants against Indian forces in Kashmir "at an appropriate time".